An interview with Lil B on his work, Black Panther, and more! In addition to now being part of the Black Panther family, you were already an avid Marvel fan way before you got involved with this project. What comics got you hooked? I mean, of course you know, X-Men—biggest X-Men fan. I was planning on getting a tattoo of Carnage actually, who is one of my favorite characters. One, because of how well he’s drawn. But, you know what definitely got me…X-Men. I like X-Force. I think that’s what kept me going. X-Men, X-Force, stuff like that. Say you could have one super-power, what would it be? I think Storm has the dope-est power, being able to fly and shoot the thunder and lightning. I think I was always a big fan of Storm when it really came down to it. Is there a particular Marvel hero you like or relate to the most? I really like Nightcrawler. He can crawl around and disappear and stuff like that. I’m surprised no one likes Nightcrawler. Everybody always goes with Cyclops or something. Switching gears to hip-hop, who are some of your biggest musical influences? Musically, some of my biggest influences…pretty much rap music as a whole. I really appreciate and love thinking about pioneers in rap music and the folks in NYC, so I really just want to appreciate all them and everybody: jazz, and rock and roll, just everybody that had a part of hip-hop. That’s what I’m really inspired by, people that gave us the ability to make beats and the metronome, and whoever gave us the ability to create sound from scratch in an MPC. That’s who I really love and am inspired by because they’re giving me the opportunity to express myself and be an individual. What do you consider your proudest musical achievements in your own career? Well, I would say right now my proudest achievement is what’s coming: Black Ken mixtape produced and composed solely by the BasedGod. This is going to be my best work. I feel like my career starts now. I feel like nothing is compared to what’s coming. I’m creating new sounds from scratch and actually creating my own sound patches, not doing samples, I’m actually acquiring sound, recording live sound. For Black Ken, let me give you an example: I have some bass drums that I have created in Berkley, CA, and I won’t tell you from what but when Black Ken comes out I’ll be more specific like where this bass drum comes from or these sounds, etc. It’s about to be real “Marvel”-lous. This is about to be my best work. I learned, I took this whole year to sit back and learn a new bit of music theory to define my skills as a musician and I hit a new breakthrough in production and been working with the BasedGod. It’s about to be a wrap. I just tweeted out, around maybe 2010 or 2009, I let the world know I’m going to be a freshman in the XXL Magazine and the next year I did that. So I let the people know just today (and this is a BLACK PANTHER first exclusive news break that I’m breaking with y’all), I let the world know that I will be getting a Grammy so that’s next on the play and I’m standing by that. I know it can seem crazy but, like, if I would have told you [then] what I would be doing [now]…it would have seemed crazy. If I would have told you back then that I’m going to be lecturing at Carnegie Mellon, it might have sounded a little more crazy and then some. It’s 100% true. I don’t really like to say too much. But I know it’s coming. Finally, what up-and-coming artists do you think could be the next big thing? I’m learning everything…Lil Yachty, Lil Uzi Vert, these folks that are being extremely positive. D.R.A.M., Mac Miller, Clams Casino, Keyboard Kid…and the BasedGod is going to have a huge breakthrough in 2017 production-wise. Oh yeah, big fan of A$AP Rocky and what he’s doing. I got love for Soulja Boy… still my brother, still got love for him. The Pack, got love for them, too. 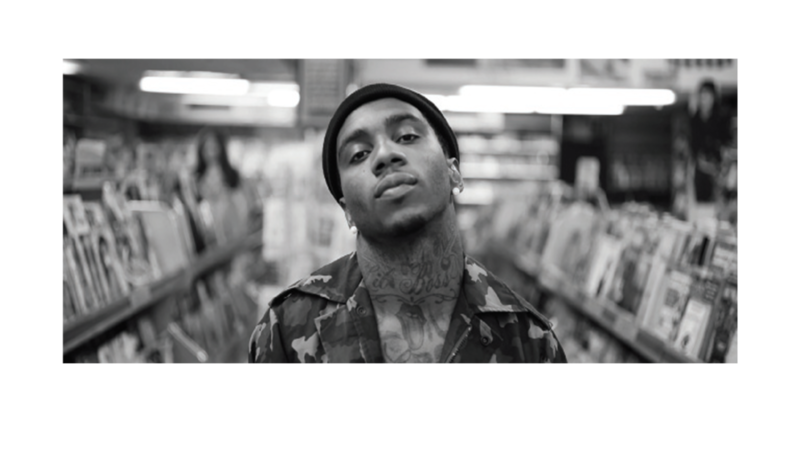 But Lil B, man, the BasedGod. It’s about to be a real serious year for me; nothing will compare to what’s coming. For myself, nothing I’ve ever done will compare to now, sonically, just everything. A lot of people believe in me and I gotta do this for y’all.